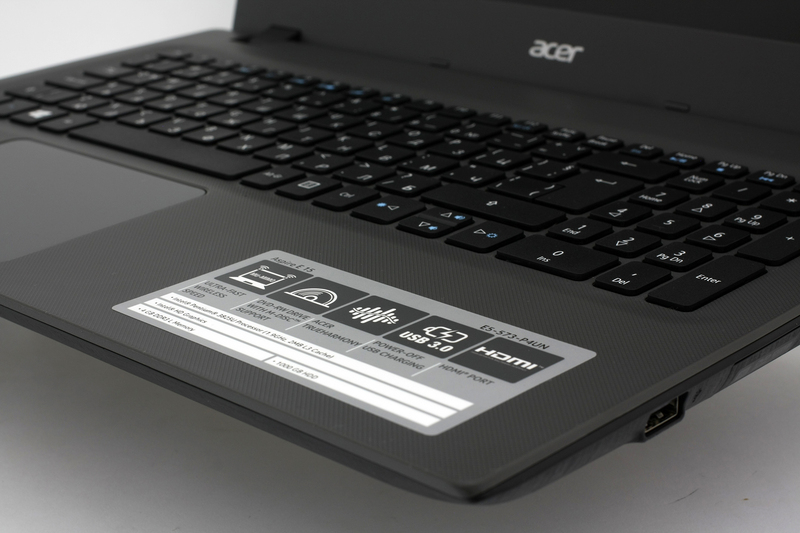 Acer has always been on the budget side of things but rarely sacrifices much-needed features along the way. And now we are happy to see a feature-packed laptop like the Aspire E5-575G costing so little finding its way into the lower-end of the market. We had the chance of using the notebook for a few days now and here’s what we think of it. The chassis of the notebook uses mostly plastic with an interesting pattern that feels great and aids for a better grip when carrying it around. Of course, it’s not the best material for rigidity but gets the job done pretty well with the only weak spot being the center of the lid. 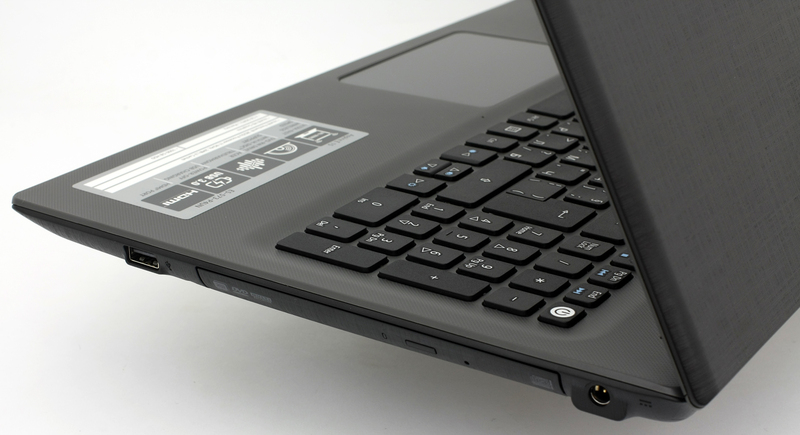 On contrary to the plastic shell, the E5-575G now features a brushed aluminum interior surrounding the touchpad and keyboard. It’s very similar to the one on the F 15 series and Aspire S 13 – a fingerprint magnet, chamfered edges around the touchpad and stays cool to touch. However, we expect the heat to disperse during load so we hope the wrist rest won’t get uncomfortably hot. Speaking of the keyboard and touchpad, Acer has once again paired excellent input devices – long key travel, slightly curved buttons for better ergonomics and feel. 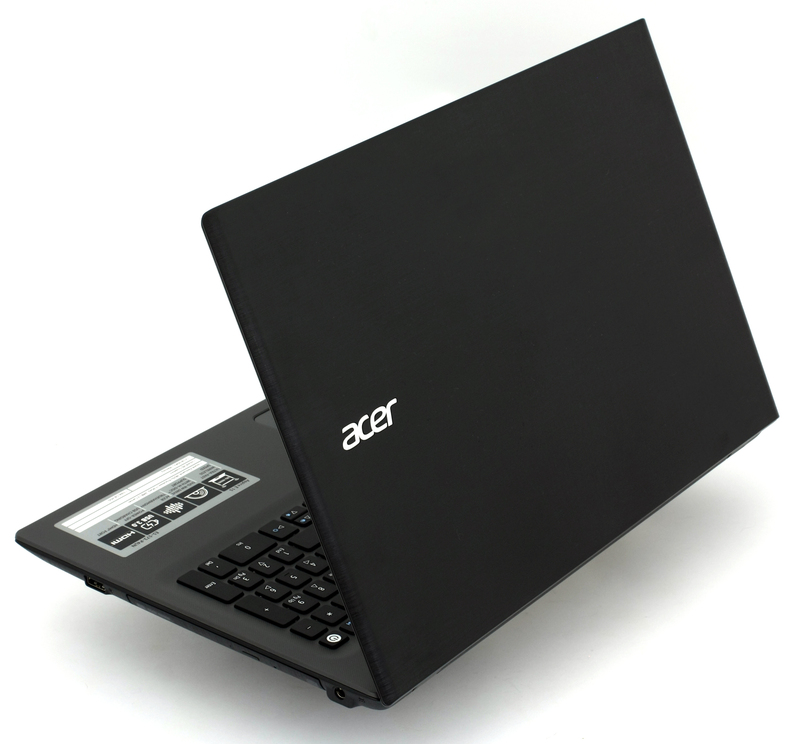 The kind words apply for the touchpad, which is big, stable and accurate. And the last thing we want to address is the selection of ports and their placement. While you will find the usual USB setup like 2x USB 3.0 and 1x USB 2.0 along with the HDMI, VGA, LAN etc., the laptop surprises with a USB 3.1 Type-C connector, which can be used for ultra-fast data transfer. Still, the latter isn’t confirmed and the connector might be supporting only the 3.0 standard. Anyway, the port distribution is excellent and won’t get in the way as most of the devices will stay connected on the left. On the hardware front, the E5-575G raises one really big question. 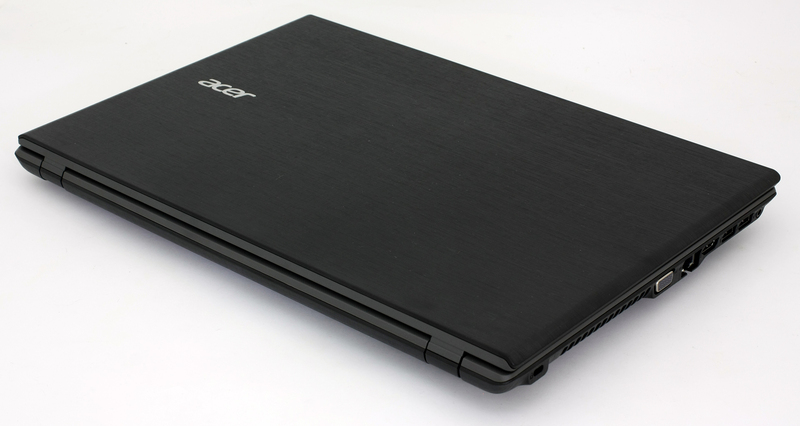 How the hell did Acer put all this powerful hardware for just $550 as a starting price? Well, we don’t really need to answer that because we can enjoy all the features this notebook has to offer. Most of the configurations go with Intel Core i5-6200U CPU but can be configured with up to Core i7-6500U and up to 16GB of DDR4 RAM. 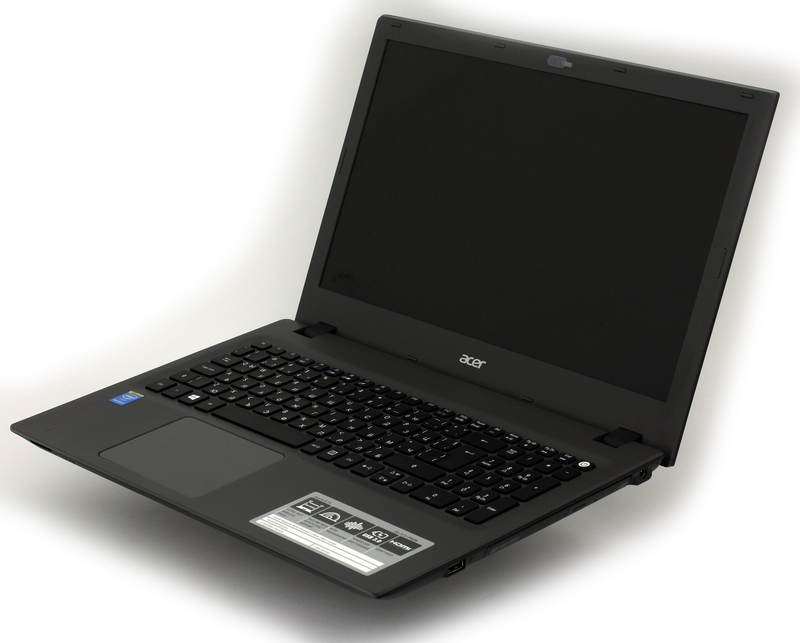 Configurations with Core i3-6100U are also possible. The GPU options are either NVIDIA GeForce 940MX (2GB GDDR5) or GeForce GTX 950M but we suspect the latter will be crippled due to the dual-core ULV processor. We’ve already seen this on the Toshiba Satellite P50-C.
As for the screen options, they are limited to HD (1366×768) and FHD (1920×1080) by using only TN panels, which is expected due to the low price of the model. Storage configurations, however, hold a big surprise. The laptop relies no only on the 2.5-inch HDD but can also support an M.2 SATA SSD stick as well. Finally, the whole show is being run by a small 2800 mAh 6-cell battery pack that will probably last for a few hours but don’t expect any record-breaking results. We will make sure the check that one too in our full review. Damn, excited for the full review!